WE HELP BUSINESSES TO GROW WITH THREE KEY SERVICE OFFERINGS; BUSINESS DEVELOPMENT, STRATEGIC MARKETING AND BD TRAINING. Our Directors have experience within the Premium Lifestyle, Architecture & Design, Financial Services, Media, Government and Retail sectors, working with a clientele that includes Taronga Zoo, Lorna Jane, J. Farren-Price, Luxe Charters, Indesign, RJ, THERE and Geyer. Our experience spans multiple geographic markets including Australia, UK & Europe and Asia Pacific giving us a broad insight into business both locally and globally. BUSINESS DEVELOPMENT TRAINING FOR GRAPHIC DESIGN, ARCHITECTURE, ADVERTISING AND CREATIVE AGENCY PERSONNEL. Creative firms both new and established face the same problem: how to secure new clients, negotiate a fair and profitable rate for their services and most importantly, retain those clients to enable growth. 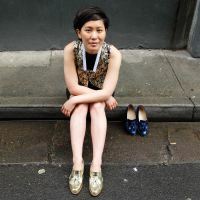 Being an outsider to the agency business highlighted one of the industry’s more nonsensical expectations: that creatives and account managers should be good at business development when they may not have come from a sales background or had any sales training; they are often expected to just ‘know’ how to bring in new business. The aim of this course is to build upon each person’s existing interpersonal skills, providing practical guidance so that an account manager or creative leader can apply the techniques of a top-flight sales person to grow their business, portfolio and revenue. The Propagation Unit offers a highly specialised business development training program for account managers, project managers and creative leads in the graphic design, architecture, advertising, public relations and media industries. The program focuses on three key areas; opportunity spotting, negotiation and the retention of profitable accounts. Each course is designed for small groups delivering a tailored program that works with the strengths and personalities of each individual to instil practical, easy to repeat techniques that deliver real results. This combination of group and individual training accommodates team members of differing skill sets and strengths while delivering on the cultural change business owners are often seeking. A typical business development training program is conducted over a three month period, comprising an initial three half-day sessions with an ongoing monthly coaching program based on the needs of each individual. This program up-skills the client facing team, enabling them to recognise opportunities and importantly, to do something about them; effectively sharing the responsibility for business development across the business. Does it work? See what our clients say about the effectiveness of the business development training. The business development training programs are run by Dennis Lindsay who has been responsible for managing and training account managers for over 20 years. Prior to co-founding The Propagation Unit in 2013, Dennis held positions as Advertising Manager with premium publishers Conde Nast in London and the Australian Financial Review in Sydney before going on to be the Business Development Lead for interior design firm Geyer. 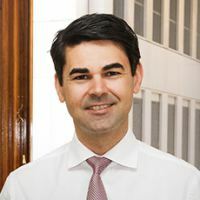 Dennis holds a Bachelor’s degree in Commerce and an MBA from UTS. 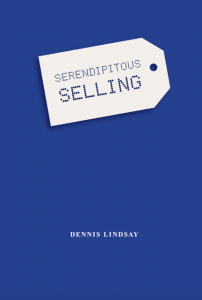 His latest book Serendipitous Selling: Commonsense business development skills for creative and account management teams is available on Amazon. The Propagation Unit publishes the lifestyle website and coffee table books The Better Living Index. The Better Living Index highlights the daily pleasures that can be derived from well-conceived products, services and experiences. All photography, writing, editing and social media sharing is done by The Propagation Unit team, with content developed and uploaded regularly. In addition, The Better Living Index publishes an annual coffee table style book showcasing the best of what we saw in that particular year. Think of The Better Living Index as a our testing ground, honing our content development, social media and website building skills on a daily basis. The Propagation Unit has proven experience in the provision of business development, marketing and training services. Get in touch to find out how we can help you.